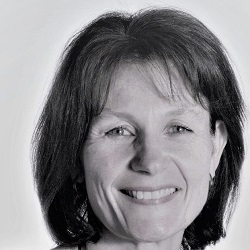 Dr Jacqui Miot, BPharm, PhD, joined HE2RO as Division Director in September 2017. She has worked in the field of health economics, evidence-based medicine and healthcare policy for over 20 years. Jacqui was previously a senior lecturer in the Division of Pharmacology in the Faculty of Health Sciences at Wits University as well as a health economics consultant to Department of Health, various healthcare companies and NGOs. She has also worked as a consultant in Tanzania. Prior to that she was Head of the Health Economics Unit at Discovery Health, the largest healthcare insurer in South Africa, providing support and expertise in building health economics and budget impact models. Her research focuses on costing and health economic models in medicine interventions with a particular interest in the non-communicable diseases and oncology. She has supervised a number of Masters and PhD students and will continue to provide mentorship in this capacity. Jacqui is Vice-chair of the Pricing Committee, Chair of the Pharmacoeconomics Task Team of the PC, member of the Gauteng Provincial PTC as well as the Chairperson of the Clinical Advisory Board of HQA and serves on the Editorial Guidelines Sub-Committee of the South African Medical Journal. Jacqui is currently on the Board of Trustees of CAMAF medical scheme and on the ExCo of PCMA (Pharmaceutical Care Management Association SA). She holds a Bachelor of Pharmacy degree from Rhodes University, South Africa and a PhD in Neuropharmacology in the Faculty of Medicine, London University.